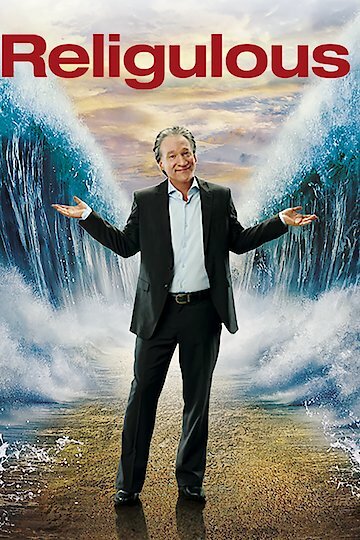 Acclaimed and controversial comedian Bill Maher is challenged with this bias comic documentary Religulous directed by Larry Charles, embarking towards a tireless search for the existence of God and the different religious beliefs. Maher, in his usual direct confrontation and sometimes offensive, debate the religious views around the world between the ridiculous and the sacred. With more than a dozen interviews, from Jerusalem, the Vatican, and Salt Lake City, this intrepid actor and comedian comes to further ridicule at once the faith and religious with arguments about the existence of God, the gospels and the person of Jesus. Cleverly, the documentary Religulous has the goal to touch faith with suspicion and disbelief leading true believers to look ridiculous and silly. For those who consider themselves atheists or agnostics, this film falls on them like a glove, happy to follow Maher around the globe questioning religious leaders about faith and debating many arguments, as Maher always manage to keep and save his view avidly against the interviewed. Very well created and staged, this documentary will make you scream in strong laughter as it will also bear moments of logical questioning since the controversial plot arguments are aimed at ridicule the different religious views of Jews, Catholics and Christians, Mormons and Scientology Believers. The strength of the film Religulous lies in the provocative arguments Maher produces with tones of sarcasm, and sometimes mocking, projecting the film like a ridiculous comedy propagandist film. With the subtlety that characterizes him to disguise things, Bill Maher manages a direct offensive to religion without anyone being offended. Nevertheless, Religulous is subtly offensive, funny and healthy, according to the eye of the beholder. Its content can be highly criticized or praised as it tries to prove that religion is stagnant for the man and the progress of this. Religulous is an intelligent well done bias film, masterfully led by Bill Maher and directed by Larry Charles, with a perfect combination of comedy and controversy. God and religion has been touched as the main theme of this wonderful documentary, raising expectations and creating grievances among many viewers. Brilliantly executed, is a film well worth to understand and study. Religulous is currently available to watch and stream, download, buy on demand at HBO NOW, Amazon, Vudu, Google Play, FandangoNow, iTunes, YouTube VOD online.